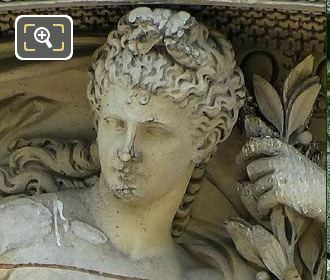 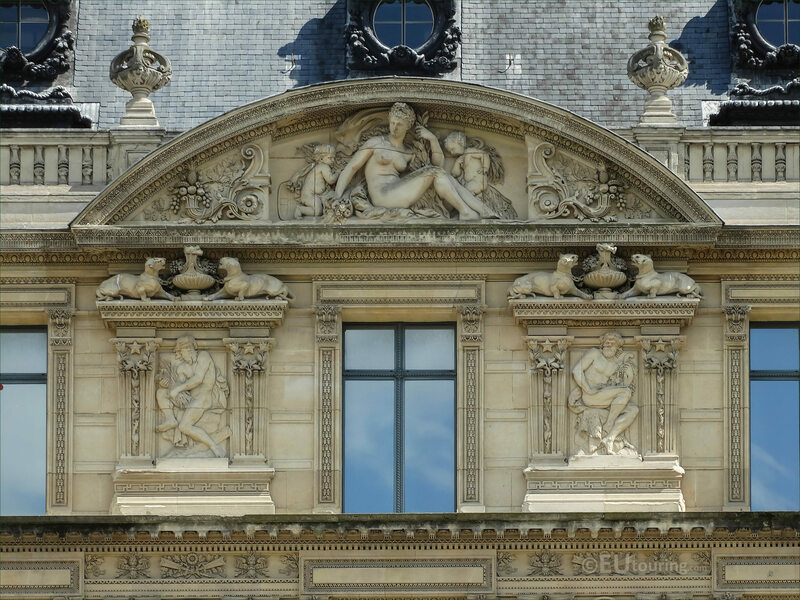 This time while we were at the Musee du Louvre in the 1st Arrondissement of Paris, we took these high definition photos showing a pediment sculpture called L’Abondance, which was sculpted by Mathurin Moreau. 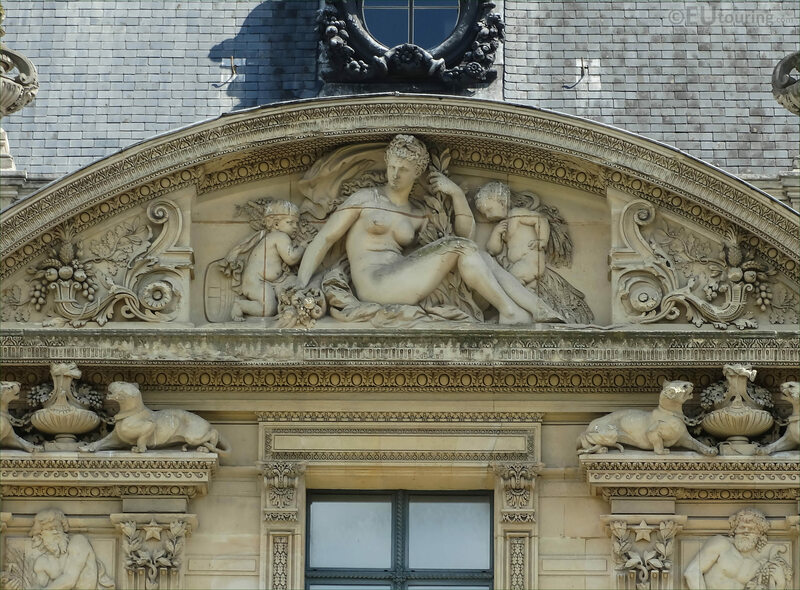 L'Abondance translates in English to The Abundance, and this sculpture is known as an allegory, which has a central female figure and two young children who are carrying things such as crops and fruit, so hence depicting abundance. 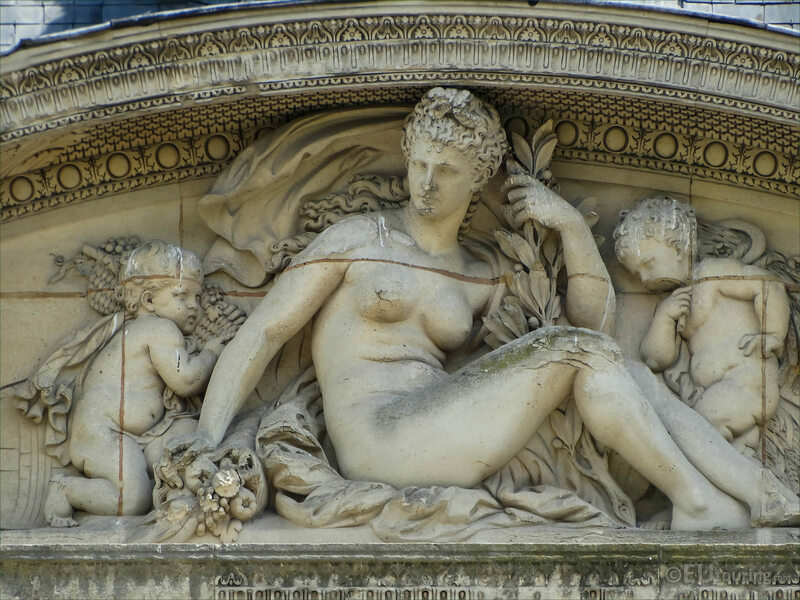 Now this allegory was executed by Mathurin Moreau who was born in Dijon in 1822 and became an academic style sculptor, with his statues and monuments being found at tourist attractions in Paris like the Musee d'Orsay and Pere Lachaise cemetery, plus of course L'Abondance on The Louvre. 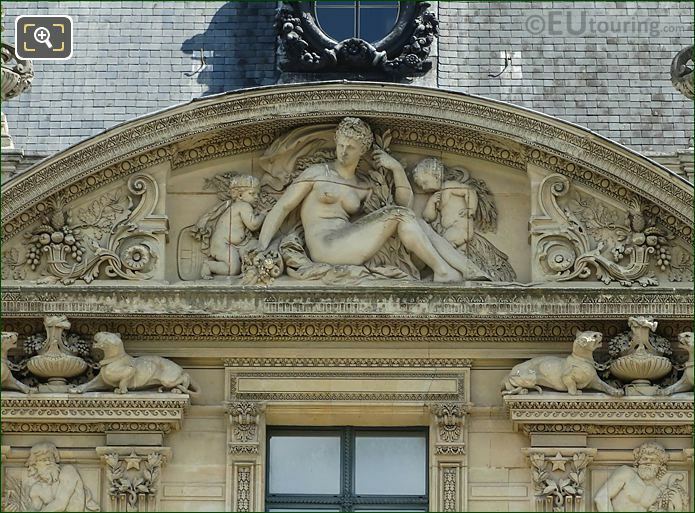 Yet Mathurin Moreau also became the Mayor of the 19th Arrondissement of Paris and although he was not a prolific sculptor, he was recognised throughout the world, with two of his fountains located in Canada and Argentina. 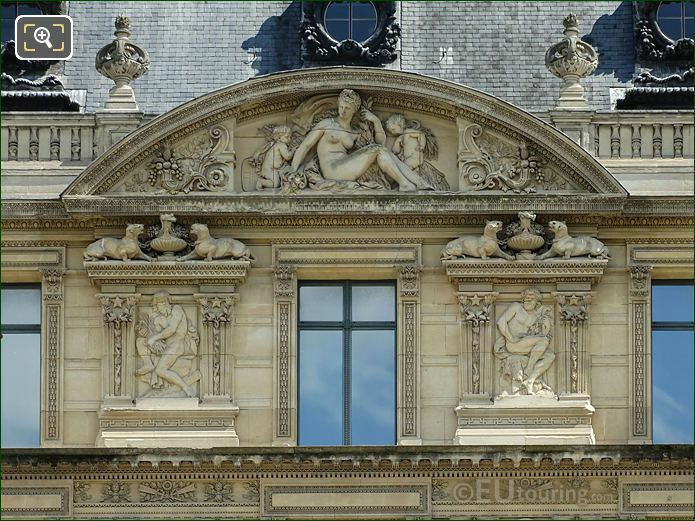 But here you can see the top part of the south facade where L'Abondance is located, which is on the Aile de Marsan and when you are in the courtyard of the Louvre Museum called the Cour du carrousel, you can see this as the fourth sculpture from the left hand side of this wing.